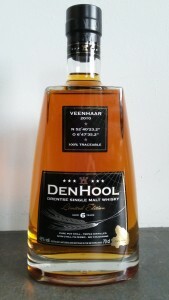 DenHool whisky is available online at the webshop, but also for sale at various liquor stores. Den Hool is a small village in the south east of the Province of Drenthe. Every year, barley is grown in the fields around Den Hool. This barley forms the basis of the DenHool whisky, which can therefore be traced back to the field. But the further processing is also transparent and traceable, and may even be called rather unique. The new spirit is filled and stored at the Drentsche Schans in Den Hool, where the maturing process for the whisky takes place.